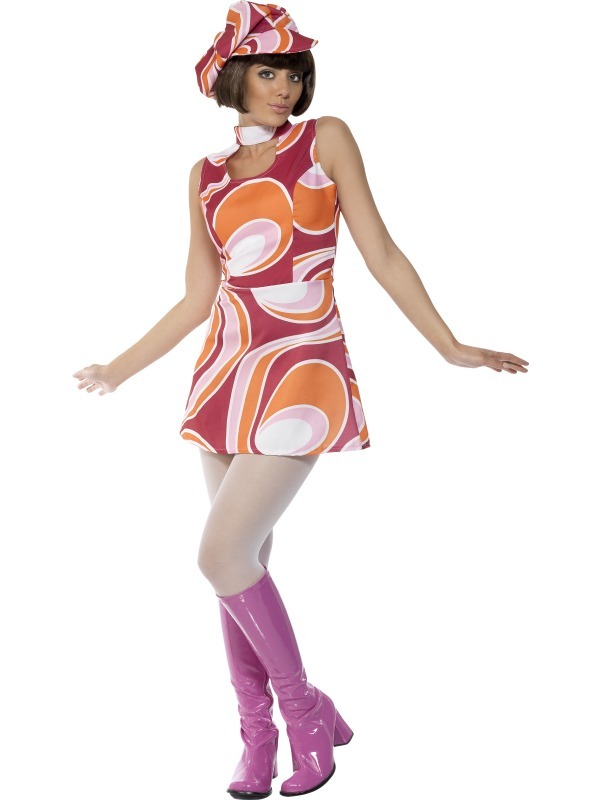 60s Costume, Pink, with Dress and Hat. Ladies large U.K size 14. Bust 40-42", waist 32-34", Hip 42.5"-44.5"